I’ve received a lot of emails over the past several days about this article published in the New York Times on “maximalist” running shoes. I couldn’t resist commenting on it. For those who have dubbed this blog as a forum that espouses minimalism, I think my point is being missed. I write about running and anything running related. It just so happens that as a podiatrist and runner myself shoe questions tend to come up a lot. My experience as a surgeon of the foot and ankle over the past 14 years has provided me with plenty of opportunities to see and understand how our foot responds to various situations including to the negative effects our societies shoes can have on our feet. Shoes do not help running related injuries. Correcting your running will. In my practice we try to take the simplistic approach to helping patients who are runners. Training patterns account for such an overwhelming majority of running related injuries that spending time discussing shoe gear and orthotics is typically not needed. Yes it’s fun to see all the running shoes patients bring me, but really it’s not needed. And, honestly, most of the time I tell patients they are wearing too rigid of a shoe!! 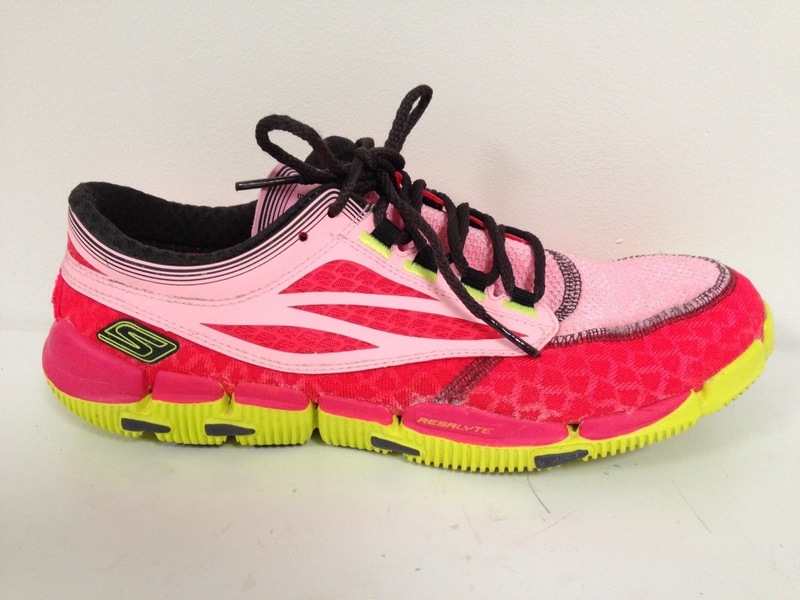 So what’s with all the hype with these over cushioned maximalist shoes and why are they really helping some runners? I’m not sure I can explain how they are helping some runners, but I do think I know what’s happening. To begin with, they are very wide, cushioned and relatively flat shoes. They are typically rigid in the midfoot although the newer models are introducing flexibility. They are heavier despite being light for their size. We do know, and many studies have proven, the more shoe there is in terms of weight, the more we will see a decrease running economy. So a heavier maximalist cushioned shoe will decrease one’s economy and thus speed. Also, as we put more between the ground and our foot, proprioception decreases and our ability to alter the foot in response to the surface will decrease. But, what I think is happening with these shoes, is that people are changing their form and the shoe is becoming the ground because it is so big and so wide. Its allowing the foot to behave more natural and then strike inside the shoe and not with the shoe. If you have ever tried these shoes on you may agree that it is like running or walking on a wrestling mat. It’s a soft and cushiony ride and the wide base does allow your foot to strike where it “wants” to which could result in a more natural strike pattern. Is it the “cure-all” shoe for running injuries? Absolutely not. A shoe of that nature does not exist. For every patient I see that love’s their Hoka’s or maximalist shoes, I see another who says they gave them knee pain, heel pain, or just simply couldn’t run in them. I’ve advised using them in patients who need a Cam walker but don’t need he ankle completely immobilized. They’re a great recovery shoe for those who have just had surgery or need to rest their foot for a period of time. I’ve had a lot of success in that manner. As for running? Spend your time and money on developing a more nature form and learning safe training patterns. Good luck! Here’s the article from the New York Times in its entirety!! Athletes who spent the past few years embracing or scorning barefoot running can now consider whether increasingly popular “maximalist” shoes — with their chunky, heavily cushioned soles — are the sport’s new wonder product. Some dismiss the shoes as gimmicky, or just silly-looking. Others, including injury-prone joggers and Olympians, are apostolic converts. Hoka One One’s initial customers were ultrarunners, who felt the extra cushioning helped protect their legs from the shock of running up to 200-mile races. But the brand is gaining a following with more recreational athletes. Last year it sold more than 550,000 pairs, which cost $130 to $170 each, and its $48 million in sales were up 350 percent from 2013. Founded in 2009 by French athletes and based in the Bay Area, the company was acquired in 2012 by Deckers Brands, which also owns UGG Australia and Teva. Solutions for injury prevention, on the extremes of the athletic footwear spectrum, have reached panacea-like proportions in recent years. The rise of maximalism counters the fall of minimalism, particularly the barefoot running movement. Boosted by terms like “proprioception” (feel for the road) and the best-selling book “Born to Run,” which argued that the human body was naturally built for running without corrective footwear, American sales of minimalist shoes peaked at $400 million in 2012. They have been declining since. The most visible minimalist shoe was the Vibram FiveFinger, which looked like gloves for your feet. But in May, Vibram agreed to settle a lawsuit that alleged the company made false claims about the health benefits of its footwear. Despite the heavy supply of potential solutions, demand for injury prevention remains high. Rich Mendelowitz, a longtime runner from Arlington, Va., started wearing Hokas while training to qualify for the Boston Marathon last year at age 55. Mindful of the Vibram lawsuit, Hoka has been careful not to make any evidence-based health claims, and few studies exist on the effectiveness of extreme cushioning. One prominent University of Colorado study in 2012 found that the benefits of cushioning underfoot were finite: 10 millimeters of cushioning on a treadmill saved energy, while 20 millimeters of cushioning did not. Lauren Fleshman, a national champion in the 5,000 meters, likened the maximalist upswing to past footwear phenomena, now rejected as passé. Dicharry, the biomechanist, suggested that extreme shoes like the Hokas might be best used in moderation. Despite his devotion to Hokas, Manzano said he still ran short distances barefoot to keep his feet strong. 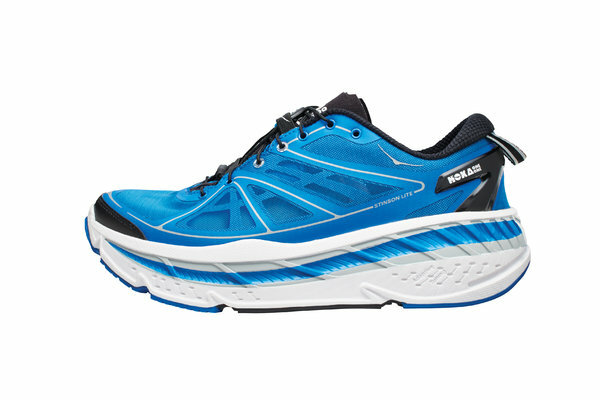 Jonathan Beverly, the shoe editor for Runners World, said maximalist shoes like the Hoka incorporated many of the qualities that made minimalism popular, while also mitigating the impact of running on hard surfaces. A move toward extra cushioning extends beyond the Hokas to more mainstream brands. Sales of one of Brooks’s most cushioned shoes, Glycerin, increased 29 percent in 2014, and the company also added a new higher-cushioned shoe last year. Dicharry said maximalist shoes were not necessarily suited for running fast. Manzano felt that the higher cushioning of his Hokas suited his higher mileage. Ultimately, most runners may need to resort to more traditional solutions. Thanks for the info. I have tried Hokas one one shoe. I felt like I was bouncing down the road. Could not run on the treadmill at all due to decreased propriocetion. They also gave me knee pain, but my feet felt fine. All in all, not the shoe for me. Trying the Altra provision shoe now. to tight shoes. Has your foot strike changed.